20 years have passed since the world met Tamagotchi. All over the world, little eggs hidden in backpacks received loving care from their owners, and drove teachers crazy. Today, the Tamagotchi are back - this time on your mobile phone, with more pixels and cuteness than ever. 20 years have passed since the world met Tamagotchi. All over the world, little eggs hidden in backpacks received loving care from their owners, and drove teachers crazy. Today, the Tamagotchi are back – this time on your mobile phone, with more pixels and cuteness than ever. 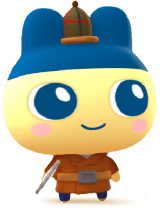 Meet Mametchi, Kuchipatchi and many more of your old friends in Tamatown. When you take good care of your Tamagotchi, they will evolve to adulthood. Help them achieve their dreams - from being an astronaut to science teacher or mayor. Meet Mametchi, Kuchipatchi and many more of your old friends in Tamatown. When you take good care of your Tamagotchi, they will evolve to adulthood. Help them achieve their dreams – from being an astronaut to science teacher or mayor. My Tamagotchi Forever has plenty of fun and love for everyone. The game is available now for smartphones and tablets, on the App Store and Google Play Store. Get it now – your Tamagotchi is waiting for you! My Tamagotchi Forever has plenty of fun and love for everyone. The game is available now for smartphones and tablets, on the App Store and Google Play Store. Get it now - your Tamagotchi is waiting for you! Compatible with selected Android devices, supporting Android 4.2 and up.